“Some stories don’t wanna be told.” TNT has released the first trailer for their new TV show, I Am The Night. From Patty Jenkins, the limited series “tells the incredible story of Fauna Hodel (India Eisley) who was given away at birth. As Fauna begins to investigate the secrets to her past, she follows a sinister trail that swirls ever closer to an infamous Hollywood gynecologist, Dr. George Hodel (Jefferson Mays), a man involved in the darkest Hollywood debauchery.” The cast also includes Chris Pine, Leland Orser, Yul Vazquez, Dylan Smith, and Connie Nielsen. I Am The Night premieres on TNT in January 2019. TNT has released the official trailer for the new limited series I Am the Night (formerly titled One Day She’ll Darken) from executive producer and director Patty Jenkins (Wonder Woman, Monster). The newest installment in a thrilling collection of limited series called the TNT Suspense Collection™, the series stars Chris Pine, who also is an executive producer. The talented roster joining Pine includes India Eisley, Jefferson Mays, Leland Orser, Yul Vazquez, Dylan Smith, Golden Brooks, Justin Cornwell, Jay Paulson and Connie Nielsen. I Am the Night tells the incredible story of Fauna Hodel (Eisley) who was given away at birth. As Fauna begins to investigate the secrets to her past, she follows a sinister trail that swirls ever closer to an infamous Hollywood gynecologist, Dr. George Hodel (Mays), a man involved in the darkest Hollywood debauchery. Pine plays Jay Singletary, a former Marine-turned-hack-reporter/paparazzo. What do you think? Are you a fan of mystery dramas? Will you watch I Am The Night? 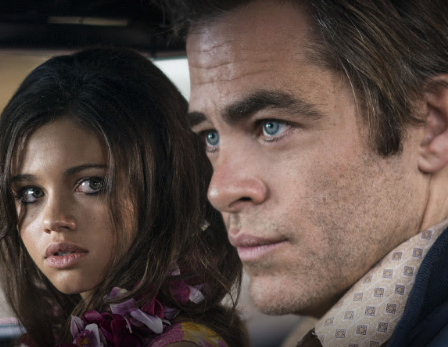 More about: I Am The Night, I Am The Night: canceled or renewed?, TNT TV shows: canceled or renewed? I Am the Night: Is the TNT TV Series Cancelled or Renewed for Season Two?